My journey through a five-round Swiss at my local rankings on 6th August. 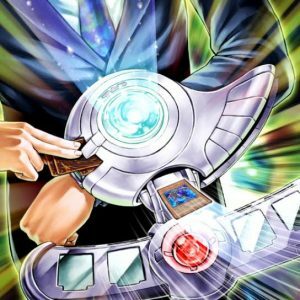 I piloted Metalfoes, thus I thought a tourney report can let you readers gain insight about the deck, since we are about to enter a series of articles about the Metalfoes archetype (Part 1 can be viewed here). Started off the day in a mirror match. I went ahead first after winning the dice roll. Managing to open with Majespecter Raccoon – Bunbuku, I searched Majespecter Unicorn – Kirin, and assembled my scales for a pendulum summon of Kirin and Amorphage Sloth. This soft lock of preventing my opponent’s fusion summon and pendulum summon from the extra deck, and Kirin for protection against threats, I managed to secure my win from there on. Despite him setting down four face downs, I reasoned that they weren’t active threats such as Drowning Mirror Force, and thus avoided destroying his monsters (instead bouncing them away with Kirin’s effect), eventually winning the first game. In Game 2, despite him going first, I was able to escape his lockdown as he didn’t have an impressive set-up. He only had Kirin along with Gofu. Gofu’s tokens, both, were used for destruction, implying that he couldn’t make a play into Ultimaya Tzolkin. What followed was a game of attrition, which I won, after narrowly escaping an OTK due to Metalfoes Counter summoning me a monster to defend myself. My set Solemn Notice, despite serving no additional use as I was already at 1300ATK, managed to serve as a fake and bait as he constantly targeted it for Metalfoes Mythriel’s effect. My opponent started off with a bad hand. Summoning Sage with Eyes of Blue to fetch The White Stone of Ancients, she ended her turn after setting a card. I drew and destroyed the set card with my Mystical Space Typhoon, fearing it to be a Phoenix Wing Wind Blast, which is very common in a Blue-Eyes deck. The resulting card exchange wasn’t in vain, as it turns out to be a Twin Twister, which could have been deadly to me. 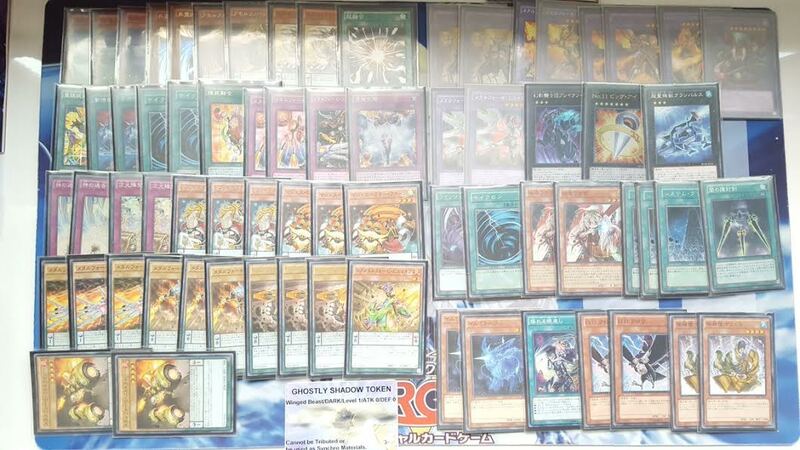 She won Game 2, after having an impressive setup field involving Blue-Eyes Spirit Dragon and Azure-Eyes Silver Dragon. Her constant banishing of my backrow hurts a lot, as I couldn’t advance my gameplay. I topdecked Super Polymerisation and used Counter for a retrieve, in order to have a card to discard as cost. Fusing for Metalfoes Crimsonite, using two out of three of her monsters, I battled her vanilla Blue-Eyes White Dragon and the tie in ATK points resulted in both of our only monsters being destroyed by battle. With no cards in hand and on field for both players, she managed an impressive topdraw of her own – Return of the Dragon Lords. Game 3 had me at a better advantage. Kirin protected my field, and I was able to dodge her banish effects targeting my backrow, by using my own Mystical Space Typhoon to destroy Metalfoes Combination. Losing out in card advantage slowly, she conceded soon. He started with a weak hand and thus poor opening field, with only two set cards. On my turn, I summoned Jowgen. He tried to remove my spellcaster few turns later by Phoenix Wing Wind Blast discarding White Stone of Ancients. But Stone’s effect was stopped by my Solemn Strike. I won Game 1 eventually with Metalfoes Goldriver being the main force of attack. Game 2 had him start first again. 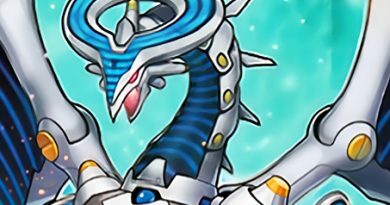 He managed a Blue-Eyes Alternative Dragon after searching it out with The Melody of Awakening Dragon discarding a second copy of The Melody of Awakening Dragon, signifying a lack of better choice and maybe a poor opening hand. With a set card he ended his turn. I destroyed his backrow set card with Eccentrick Archfiend, and it turned out to be Skill Drain. I heaved a sign of relief, having dodged a massive bullet as Skill Drain would have crippled my deck. It wasn’t seen much for the past few weeks that I have forgotten the be beware of this card. I launched into a full-on assault, although I couldn’t manage an OTK, but it was sufficient to leave him unable to recover. Thus he conceded the during the next turn. I started first and was able to control the board with Amorphage Sloth and Kirin. He couldn’t find an out to my soft lock, and it was pretty much one-sided from there on. For the second game, he went first, but Ghost Ogre and Snow Rabbit stopped Union Hangar and thus preventing him from gaining the equipped union monster from the deck. He set four cards next, emptying his hand. My standby phase came and he flipped Anti-Spell Fragrance. I used one of my two Mystical Space Typhoon in hand, but it was negated by a costly Solemn Judgment. The situation made me unable to chain my second copy of Space Typhoon, so Anti-Spell successfully resolved. Setting it instead. I summoned Goldriver to tie in battle with his searched-and-summoned A – Assault Armor, hoping to bait out any traps he has set. The battle ended up in a tie. His turn came but he passed. My turn, but I opted not to destroy Anti-Spell Fragrance as I reasoned it was working against him as well. Summoning Silverd, I attacked and opted not to overextend since I had him at a disadvantage in lifepoints. He set a card in the field spell zone next, showing how Fragrance is also working against him. When he tried to activate it his next turn, I destroyed it with my reserved Mystical Space Typhoon. He conceded thereafter, as I had him at 600LP and Silverd ready to deal another direct attack the next turn. For the final round, I opened poorly and merely summoned Goldriver in attack position. Lamenting my luck to myself, I set Combination and Counter, having drawn them in my opening hand – the worse nightmare a Metalfoes player can experience. My opponent got Photon Thrasher out and Union Hanger fetched A – Assault Armor. He did no direct attack that turn as Thrasher couldn’t attack, but was able to send the equipped B – Buster Drake to the grave to trigger a search after attacking my Goldriver with Assault Armor. Metalfoes Volflame was summoned due to Counter, but that remained irrelevant. It was tough baiting out their effects, and ultimately, I couldn’t pendulum summon; my scales were banished. I pulled a hat trick and allowed him to go first instead, hoping to throw him off his game. I sided heavily, without over-siding, but my opening hand failed me, as I only had a single copy of my sides – D.D. Crow. Crow kept him from special summoning Dragon Buster on his turn but he still managed to do so on his next. 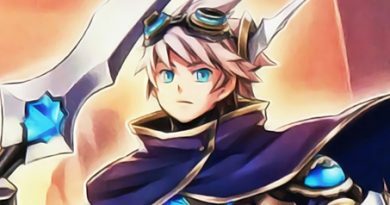 The climatic and crucial point of the game came when he was contemplating what card to banish with Dragon Buster’s effect. He chose the scale 8 Steelren, which turned out to be the perfect choice, as I drew into Kirin on my draw phase, having no other cards in my hand. Kirin’s scale 2 couldn’t interact with the already-placed Goldriver’s scale 1, so I performed a fusion summon with the only two monsters I have at my disposal, after fetching out Metalfoes Fusion with Goldriver. Summoning Mythriel, my opponent sensed the threat and banished it. I activated Metalfoes Fusion grave effect for a shuffle-and-draw, and bet it all on a destiny draw. The crowd around the table was impressed with my daring approach, but agreed it was the best play with my limited resources in hand. With no cards on field, except a scale1, and no other cards in hand, my fate rides on this draw. SHINING DRAW !!!! IT’S MY DESTINY DRAW. Turns out to be Bunbuku and even with its search for another copy of itself, I couldn’t do much as time was called. Unable to recover from the lifepoints difference, I had no choice but to concede. With that, the weekly ranking tournament at my locals concluded, and I finished 2nd. Previously, a recommended about of no less than three copies per pendulum card had to be included, lest it gets banished by Pot of Desires. 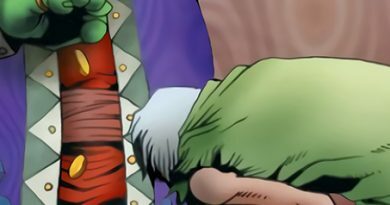 The lack of Desires hence also reduces my deck’s need to max out the pendulum cards. Thus granting me to add more cards into the deck, including deck techs such as Amorphage Sloth and Jowgen. Desires did not work well for me. I almost always end up banishing majority of my needed spell traps. So I didn’t want to sacrifice banishing my key cards all for the sake of turbo. 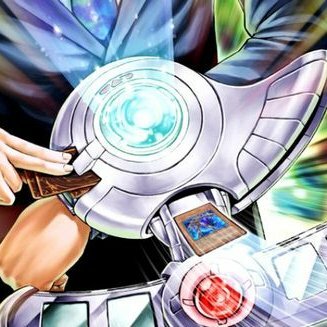 After all, unlike many players in the OCG, I do not play Cyber-Stein and Blackwing – Gofu the Vauge Shadow. Hence, the need for speed and turbo is not really needed for my deck, in my opinion. Part 1 of a very in-deth look at the Metalfoes archetype.